The large observational study consisted of 26,341 patients with gout who had SUA measurements of 6.8 mg/dL or higher. The median baseline SUA in the cohort was 8.6 mg/dL. The average age of the patients was 62 years and 75% were men. The investigators did not include patient race, weight, blood pressure or smoking intensity in their analysis. The cohort included 16,334 non-diabetic patients and 21,491 patients with no recorded CVD, congestive heart failure or revascularization procedures. Data from these individuals were used to analyze incident diabetes mellitus risk and incident CVD risk. The cohort also included 21,182 patients with recorded serum creatinine results once at baseline and at least once in the follow-up period. Data from these individuals were used to analyze renal function decline. The average follow-up in the study was 2.8 years for the diabetes mellitus and CVD subcohorts and 2.6 years in the renal function decline sub-cohort. Over the course of this follow-up, approximately 60% of patients were treated with a urate-lowering agent. During this time, the investigators identified 749 diabetes mellitus events, 470 CVD events and 2,373 renal function decline events. The overall incidence rate for diabetes mellitus was 1.63/100 person-years and for CVD was 0.77/100 person-years. 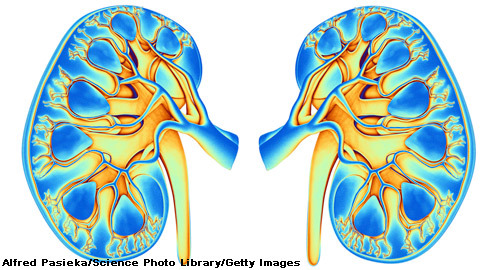 The overall incidence rate for renal function decline was 4.32/100 person-years. Using these data, the investigators calculated an adjusted hazard ratio (HR) for a 3 mg/dL reduction in SUA. They chose this number because, on average, it corresponded to achieving the target level of less than 6 mg/dL. The adjusted HR was 1.04 (0.92–1.17) for diabetes mellitus, 1.07 (0.89–1.29) for CVD and 0.85 (0.78–0.92) for renal function decline. When the researchers performed a sensitivity analysis among patients not on angiotensin-converting enzyme inhibitors or angiotensin II receptor blockers at baseline, they found the association between 3 mg/dL reduction in SUA and renal function decline was consistent with the primary analysis (adjusted HR of 0.82, 0.72–0.94). When the investigators performed a secondary analysis during which cumulative changes in SUA during follow-up were modeled as restricted cubic splines, they found that reductions in SUA continued to be associated with a significant decrease in risk for renal function decline (HR for reduction by 3 mg/dL was 0.83, 0.78–0.89).